The Rail Trail follows along the south side of the E&N tracks between Coombs and Parksville, and is visible from the Alberni Highway (Hwy 4A) as you near Coombs. 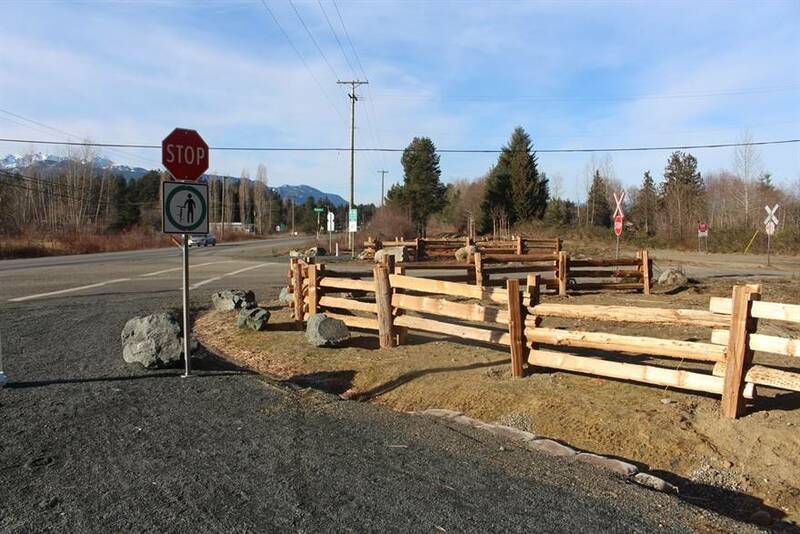 At the Coombs end, the Rail Trail starts at the kiosk across from Station Rd where a crosswalk and pedestrian controlled beacons help you cross busy Hwy 4A. Along the way from Coombs to Parksville, you can hop on the Rail Trail from Virginia Rd, Church Rd, Fairdowne Rd, and Nicnbec Rd (off Coldwater Rd). Pedestrian controlled beacons will help you cross busy Church Rd. At the Parksville end, the Rail Trail begins at the City of Parksville's Springwood Park on Despard Ave. The trailhead with kiosk is near the dog park parking lot. A new trail was created through the north end of Springwood in order to separate Rail Trail users on the move from park walkers out for a leisurely stroll. Approximately 7 km of 3 metre-wide tread surface trail finished with compacted high fines gravel. Except for the first 200 m of trail in Springwood which has an 8 % grade, the Coombs to Parksville Rail Trail is fully accessible, that is, no more than a 5 % grade. Beyond the City of Parksville's Springwood Park the Rail Trail is multi-use and NO ATVs, DIRT BIKES OR OTHER MOTORIZED VEHICLES ARE PERMITTED. Within Springwood, the City prohibits horses and unauthorized motorized vehicles. The primary contractor for the Rail Trail is David Stalker Excavating Ltd. The project engineer is Koers & Associates Engineering Ltd.
Planning for Rail Trail in Oceanside began in the fall of 2013. 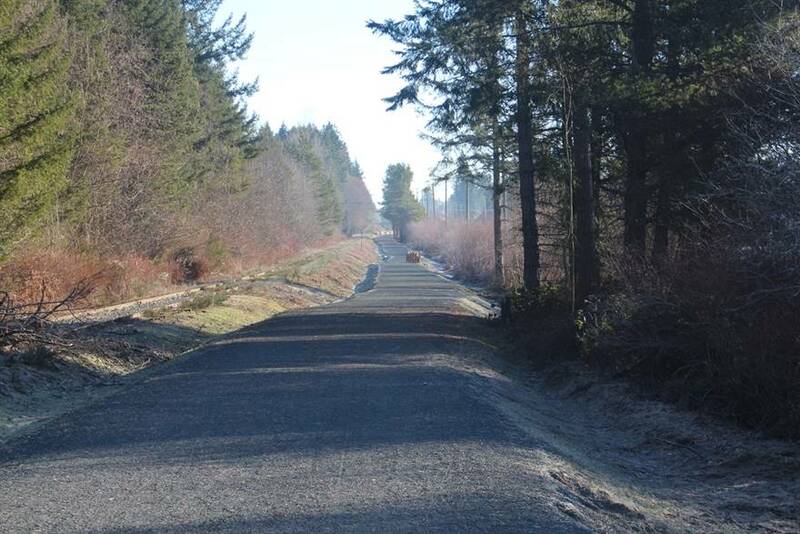 Construction of the Coombs to Parksville Rail Trail started in May 2016, and opened for public use 23 December 2016. Initial trail development including kiosk signage will be completed in 2017. In 2009, the RDN undertook an E&N Rail-with-Trail Feasibility Study to assess potential trail development along the E&N rail corridor within Electoral Areas A, E, F, G, and H and the municipalities of Lantzville, Parksville and Qualicum Beach; the City of Nanaimo was not addressed as they had completed a separate study. 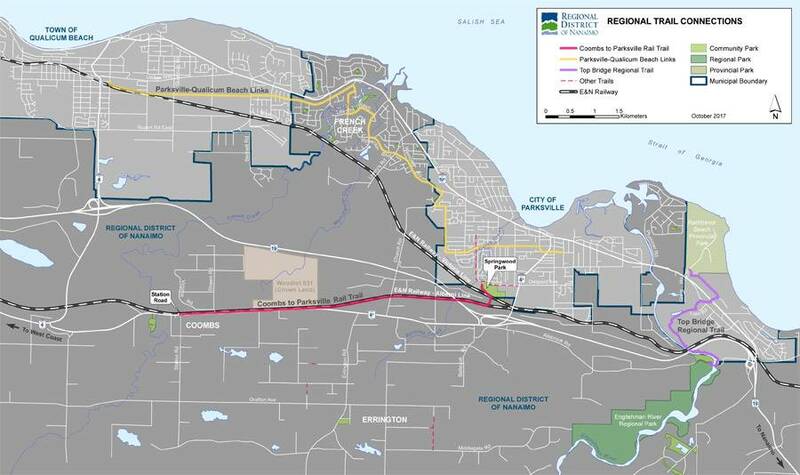 Around the same time, the RDN partnered with the Capital Regional District, Cowichan Valley Regional District, Comox Valley Regional District, the Island Corridor Foundation and Southern Railway to develop Rail-with-Trail Design Guidelines. The guidelines address all aspects of trail development and establish rural, suburban and urban design guidelines. The Rail-with-Trail Design Guidelines were adopted by all parties in June 2009. 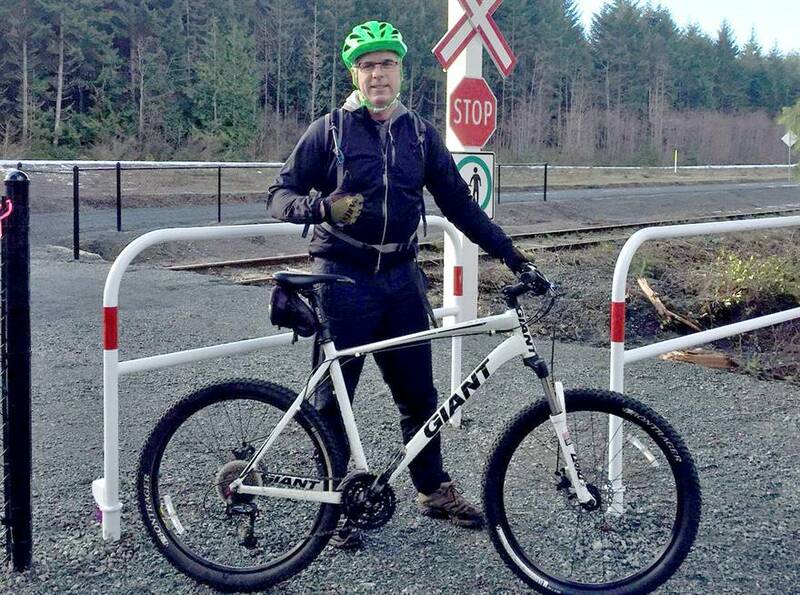 Check out more Rail Trail in the Capital Regional District, Chemainus, Nanaimo, and Lantzville.